The project aimed at equipping people living in forest fringe communities with relevant skills to undertake successful alternative livelihoods so as to dissuade them from engaging in illegal chainsaw milling which promotes deforestation and forest degradation. In search of lasting solutions to address this challenge, Tropenbos Ghana (TBG), then, Tropenbos International Ghana (TBI), with funding from the European Union (EU) implemented a project from 2009-2016 that sought to develop viable alternatives to illegal logging. The beneficiaries received training in agroforestry, nursery and plantation development, group dynamics and basic business management. 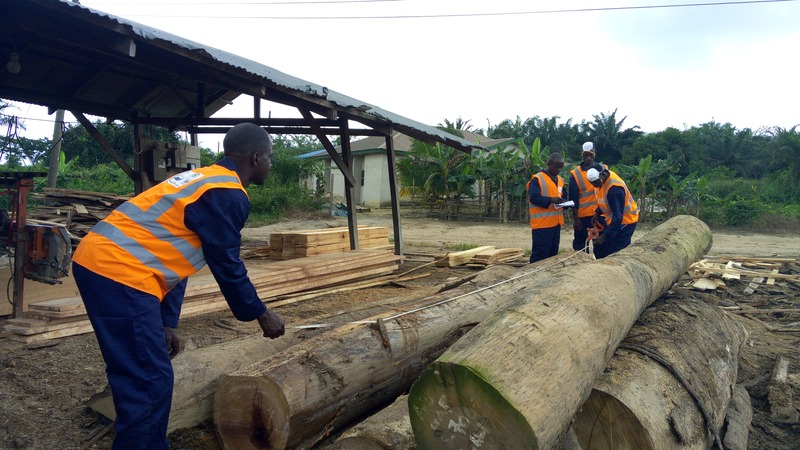 Centred on an innovative approach to create a multi-stakeholder dialogue, the project in Ghana brought diverse stakeholders within the forest sector together to negotiate viable options for dealing with chainsaw milling. They were then able to supply their lumber into the Voluntary Partnership Agreement (VPA) with the European Union. From the 1960s, Ghana has faced massive deforestation problem. This is largely due to agricultural expansion – mainly for cocoa production – but also illegal logging, which has thrived for many years due to high rates of unemployment and weak forest governance. Illegal loggers were perceived as enemies of progress, and relentlessly pursued. However, attempts to address the escalating deforestation problem, including a ban on logging, proved futile due to corruption within the Forestry Commission and because of the number of livelihoods affected (an estimated 98,000 people). At the same time, there has also a high demand for domestic lumber, which contributed to the situation. The project believed from the on-set that stakeholder negotiations should be built on empirical information, felt need and a strong sense of trust. Raising awareness and efficacy through sharing information about the country’s forests was critical for effective stakeholder buy-in and ownership of the process. Multiple stakeholder dialogues and meetings that followed were possible because they were based on identified “felt needs” and interests. The dialogues help build consensus and allowed participants to co-develop alternative solutions. In addition, government support also helped mainstream the outputs from these engagements, reinforcing the transition to an alternative livelihood. By raising awareness about the problem of deforestation and finding out what stakeholders were keenly interested in, it made it easier for them to forge a bond and move away from illegal logging. Providing a pathway for the illegal loggers to engage legitimate business operations, notably artisanal mining, has had numerous positive impacts. Some former illegal loggers have also invested in reforestation of degraded forests through legal arrangements facilitated by TBG with the Forestry Commission (FC). A key negative impact is that the domestic demand for legal lumber has yet to develop adequately. If this trend continues, artisanal millers may be forced to revert to illegality. The Timber Procurement Policy is a policy that makes it mandatory for all government projects to be undertaken with only legal lumber. This is an attempt to reduce the volume of illegal lumber on the domestic market and it is based on the fundamental principle that the illegal timber will continue to be laid on the markets as long as it is patronised. Although, the policy was mooted by the Forestry Commission more than five years ago, it has not yet been implemented. 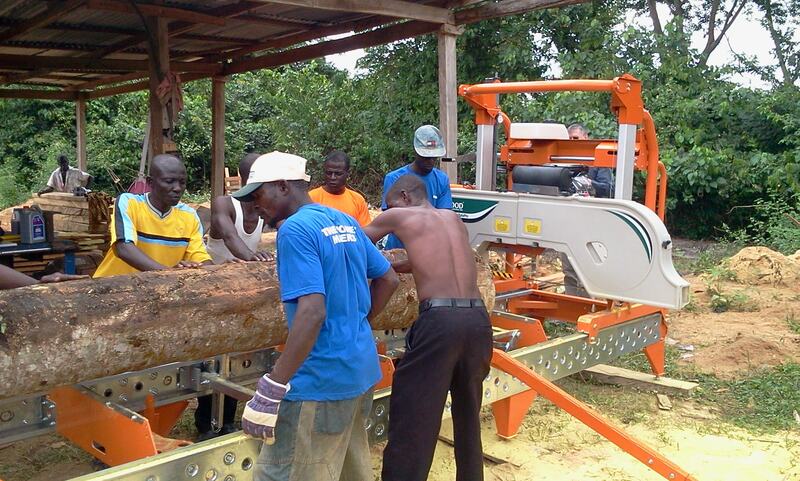 While this EU-funded project ended in 2016, the work is continuing today under a project called, “Upscaling Artisanal Timber Milling to Improve the Supply of Legal Lumber to the Domestic Market.” This project, funded by the Food and Agricultural Organization, seeks to consolidate the artisanal timber milling concept in Ghana by piloting it in more communities and expanding its scale of implementation. Until I participated in the MSD meetings in Juaso, I thought God would provide for trees forever. But now I have seen maps, pictures, figures and facts showing that forests disappear amongst other things because I log trees illegally and do not replant. We cannot go on like this. This illegal logging should stop. – Chainsaw Operator, Obogu, 2013. See 2 (Parker et al. 2013).